Spain will not join the Unitary Patent system. That became clear today during a session of the Spanish parliament. Earlier this month, the parliamentary committee for economics, industry and competitiveness had approved a motion of the socialist party PSOE, requesting the government to reconsider joining the system. Only the Popular Party, which runs the minority government in Spain, voted against the motion. Particia Blanquer answered she doesn’t share the minister’s view, as the Unitary Patent system was created years ago and a lot has happened since: ‘To maintain this position is not what a country like Spain should do and it is inappropriate for someone who dreams of leading the European project [De Guindos has the ambition to succeed Dutch minister Jeroen Dijsselbloem as chairman of the Eurogroup, ed]. If there is any clear example of enhanced cooperation, it is this project. Of the, as for now, 28 member countries of the European Union, 26 have decided to join the Unitary Patent. Only Spain and Croatia are outside. Is this the way we want to realize our ambition to be the locomotive of Europe? If so, we will not even be the last wagon on the train. 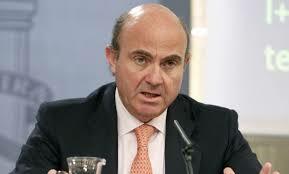 But minister De Guindos made clear there is no chance whatsoever of Spain joining the system any time soon: ‘I agree that a European IP system is necessary which simplifies procedures and reduces costs for obtaining a patent. But if the use of Spanish is not allowed, this means our companies will have to translate their patent applications in one of the official languages of the UP system and they will have to respect patents which are not translated into Spanish. In an interview with Kluwer IP Law, Patricia Blanquer has said it is ‘detrimental to Spain to stay outside the Unitary Patent system’.